How Do I Know What Water Treatments To Use On My Pond ? Water Treatment Regimens For Your Pond Or Water Garden? 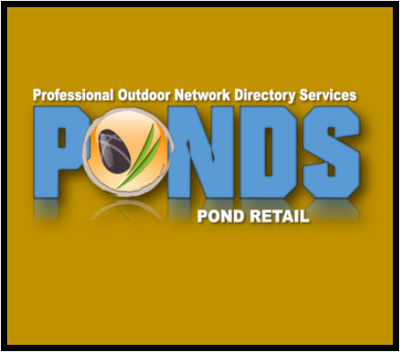 Combining science with simplicity, new lines of pond water treatments make it simple to maintain a healthy, well-balanced water garden with proper pond filtration and aeration. Liquid bottles and bubble tabs make dosing simple and affordable. 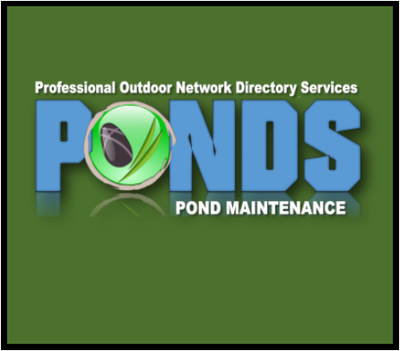 Put away your calculators and enjoy a clean, clear, healthy pond with the complete line of algae control, beneficial bacteria, flocculent, clarifiers and other water treatment products. 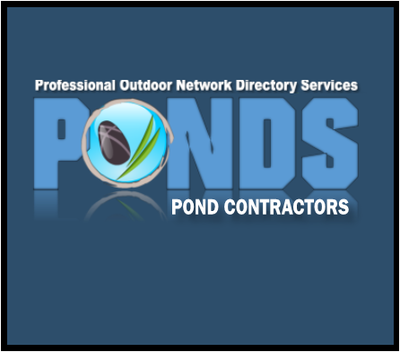 ​Our contractor members should have a great grasp on what water treatments are right for your pond or water garden. 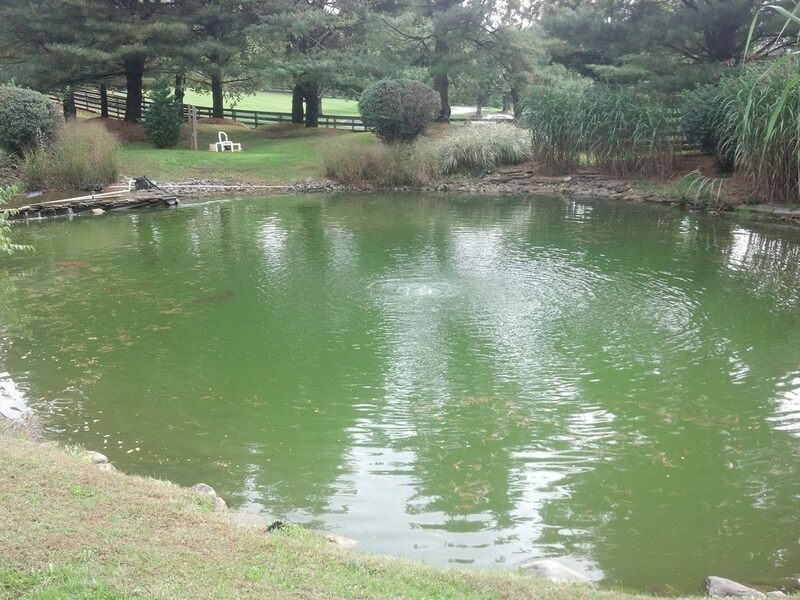 One of the most common issues that pond and water feature owners battle with is pond algae. Algae occurs in a few forms and the most common is string algae, one day you're enjoying your pond or waterfalls. And then seemingly almost overnight your waterfalls and stream areas are covered with string algae. True string algae is a vigorous grower fed by excess nutrients in your system. 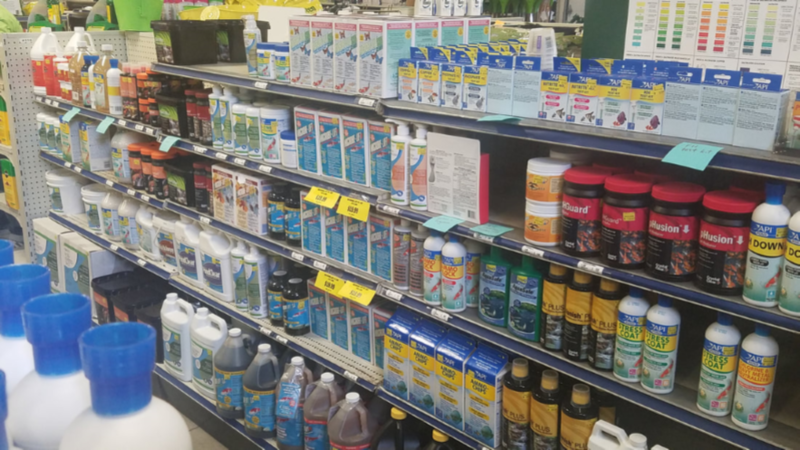 Nutrients are what you are truly battling, decomposing food particles, fish waste, decaying plants, and even rainwater are some of the most common nutrients that will cause excessive algae blooms. Adding water treatments and additives to your water feature will help, but not dumping in a bottle and walking away. Adding a regimen of daily or weekly additives is usually the answer. 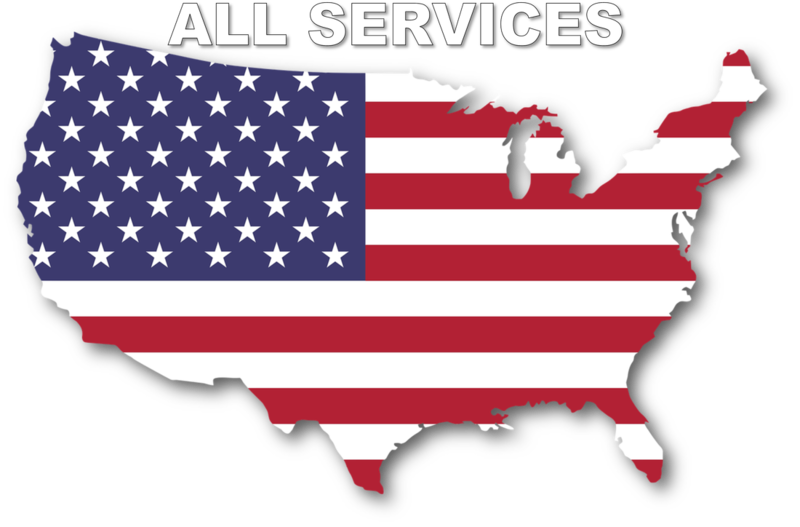 Ask your local contractor about what may be needed to help maintain your water quality in your system.